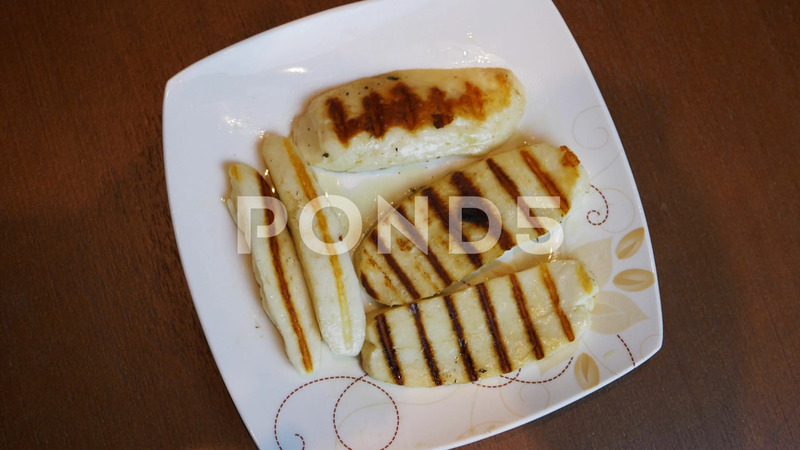 Description: Grilled slices of halloumi cheese on plate top view rotate. Greek goat cheese grilled on beige plate. Stripes gold brown color. Food mediterian kitchen. Top view high angle.